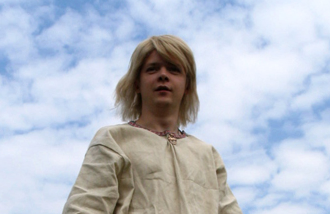 A fake historic epic on the Middle Ages and Estonia’s not-so-glorious past. The action of the adventurous historical comedy “Malev” takes place in the beginning of the 13th century Estonia and Livonia. The powerful troops of German Order try to conquer and baptise local nature people. The first educated Estonian, young man Uru needs to find a balance in himself between staying Estonian and becoming European. During his inner fight, Uru gets into a whirl of a complicated intrigues and crazy adventures, where the future of the homeland depends on him. Are the Estonians ready for the freedom? Why Estonia did not become an independent country already in the 13th century?